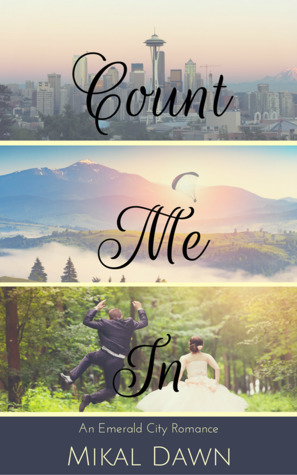 Count Me In (2017) by Mikal Dawn is the first book in the Emerald City Romance series. This book comes in all forms including eBook, and is 326 pages in length. With a full-time job and a very busy five-year old, this novel took me two days to read. I checked this novel out through Kindle Unlimited to review. The opinions expressed in this review are my own. I give this story 5+++ STARS. This book is a Contemporary Christian Romance. This book is wonderful! Absolutely wonderful, and I cannot wait for book 2 in the series. Count Me In is my most favorite type of story line: the girl who has resigned herself to life’s sidelines is finally seen, desired, and cherished by the man every other woman wants. I love when the “invisible” girl wins, but I also love when this “invisible” girl realizes that she is her own biggest roadblock. Not only will the leading man notice this character’s worth, but this archetypal woman will come to value her own worth as well. And, when that character understands that she is perfect just as God made her, the whole story falls into place beautifully. If you love Jane Eyre-esque novels where the “invisible” girl wins, then this book is absolutely for you. The main characters are Allegra and Tyler. Allegra is a size 14 woman with intelligence and curves. She has a slight coffee addiction, but who doesn’t? And, she wears the weight of the world on her shoulders, something she has had to do since her parents died when she and her sister were young teens. Bottom line, Allegra is a real woman, which I LOVED so much. Sometimes when I read novels I do have a difficult time relating to the female characters. Especially when they talk about their flat stomachs and their workout routines. This is not the case with Allegra. She may be one of the most real female leads I have ever read, and it is refreshing. To me, Allegra is beautiful right off the bat because she is so real and down-to-earth. I can relate to her working hard, coming home, putting on yoga pants and an old sweatshirt, and enjoying an extra cookie or two with her latte. I also understand her need to take care of everything and make sure that what she’s taking care of is perfect. 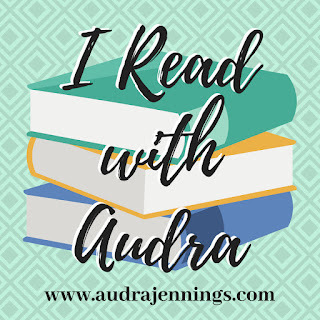 Allegra is a wonderful character, and I loved cheering for her throughout this entire book! Tyler is gorgeous. There really is no other way to put it. He is the HOT guy. The guy girls drool over. They guy girls flirt with no matter where he goes or who he is with. Tyler is built and athletic. He is Adonis personified. Because of his fame from his time in the NFL, Tyler is used to women wanting him. Enter Allegra who doesn’t know him from a hill of beans. It’s awesome!!! The first time Allegra meets Tyler reminded me of the first time Jane didn’t respond to Rochester the way he thought she would in Jane Eyre. Naturally, Rochester was shocked and intrigued by Jane. It’s the same with Tyler and Allegra. What I liked about Tyler so much is his ability to help Allegra push through her fears, but also realize that he isn’t perfect and needs God’s help in overcoming the things he fears, too. It takes a real man to admit his flaws and his need for God. And Tyler is a real man. The third protagonist in this novel is fear. Fear is a BIG problem in Allegra’s life, and Tyler’s as he later discovers. Allegra’s parents died doing what they loved: extreme sports. To Allegra, who purposely chooses the safest route possible, she believes her feet should be firmly planted on the ground like God made her. She reasons that if she was supposed to fly, God would have given her wings. I say the same thing…it makes no sense at all to strap a board of wood to my feet and plunge down a mountain of ice. But, the problem with playing it safe all the time is that life becomes a prison, and you tend to miss out on God’s grandeur. Throughout the story, Tyler slowly helps Allegra realize that while she may never want to go paragliding, she still needs to get outside and be part of life. Allegra and Tyler come to understand that they both have things they fear, and ultimately they are not trusting in God. Discerning their errors, they ask God for forgiveness and the help they need in order to change their lives for the better. It is at this point that both Allegra and Tyler realize what it takes to have a real, lasting, and loving relationship. Count Me In is a fabulous read. I loved and enjoyed every second of this novel. This is a story that made me feel genuine happiness. I love real love stories, and this is a real love story. If you are looking for a very sweet and highly engaging contemporary clean read to escape into, I cannot recommend Count Me In enough. Purchase a copy of this book today! You will not be disappointed that you did. Oh Nicole! I don’t even know what to say! Thank you just doesn’t cut it. Your review means so much to me and is SO encouraging! Thank you!!!! Thank you, Trisha, for suggesting this book. I devoured it!! !